Life gets in the way, and almost three weeks have flown past without anything done at all. 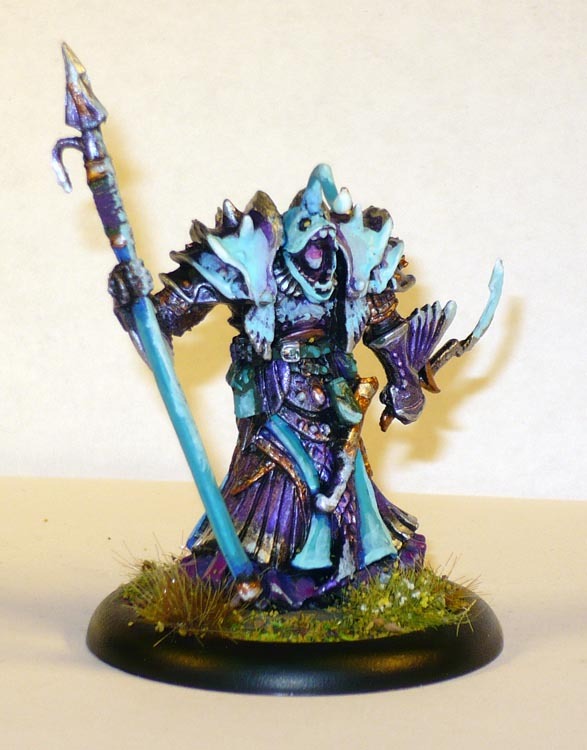 Today I finished the Reaper Bones 92620 Evil High Sea Priest from the second Bones KS. 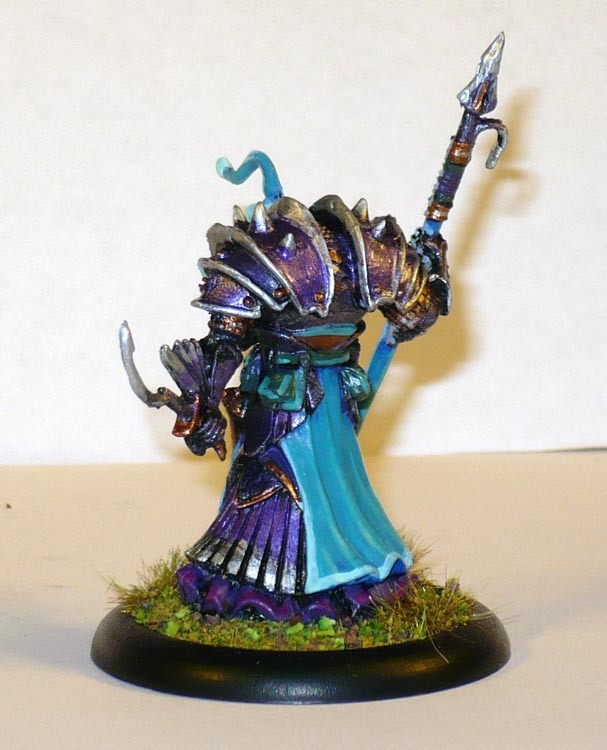 This would be the first mini from that KS I have done. 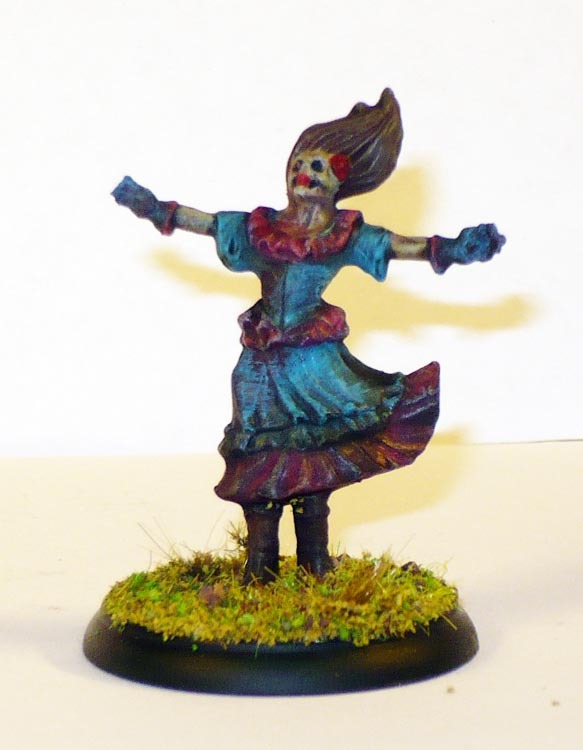 This one was chosen as it is the featured mini for the first Bones 2 Beauty Pageant competition on the Reaper forums. 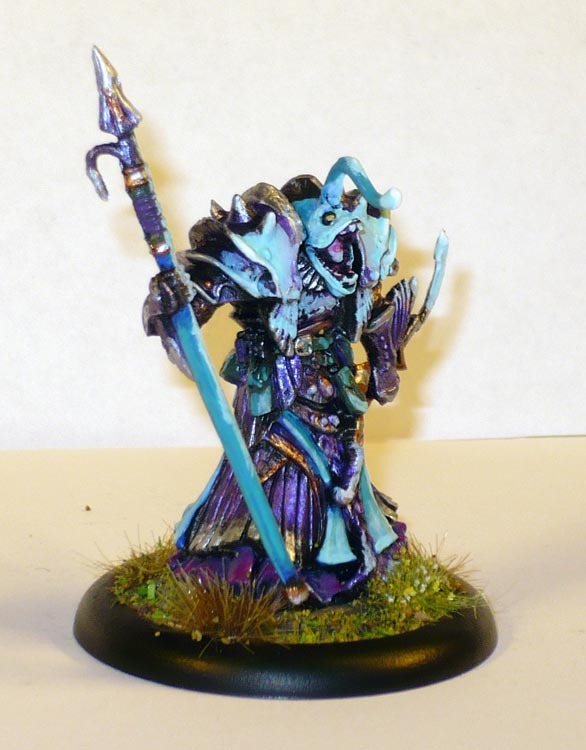 Struggled a bit with the OSL effect, as the light blueish white was rather chalky, and therefore needed to get thicker than I had intended, obscuring the colours beneath instead of tinting them. Oh, well. It looks better IRL than in the pictures though. I am fully aware that my crude and speedy painting style does not hold a candle against the kind of proud quality most other entrants show off, but I like to enter so others of indeterminate skill can see that they too might enter as well. 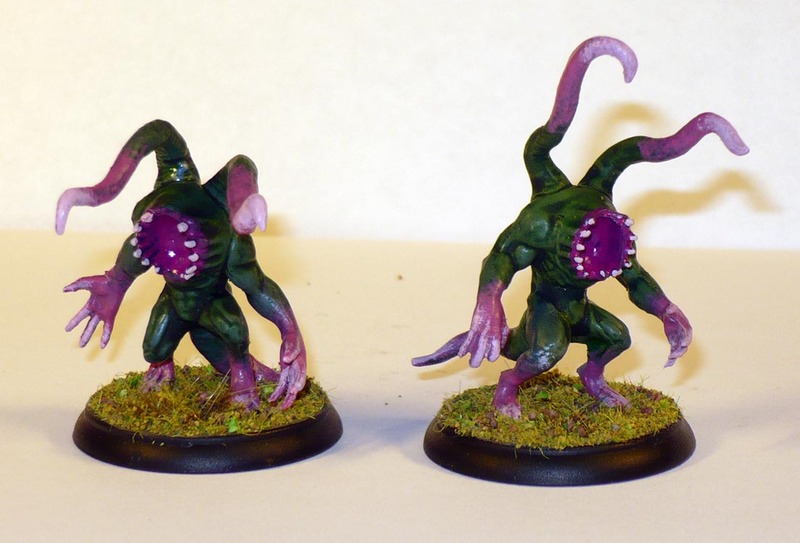 A couple more of the Shadows of Brimstone Stranglers, bringing the total up to eight. This time I went for green as the primary colour. 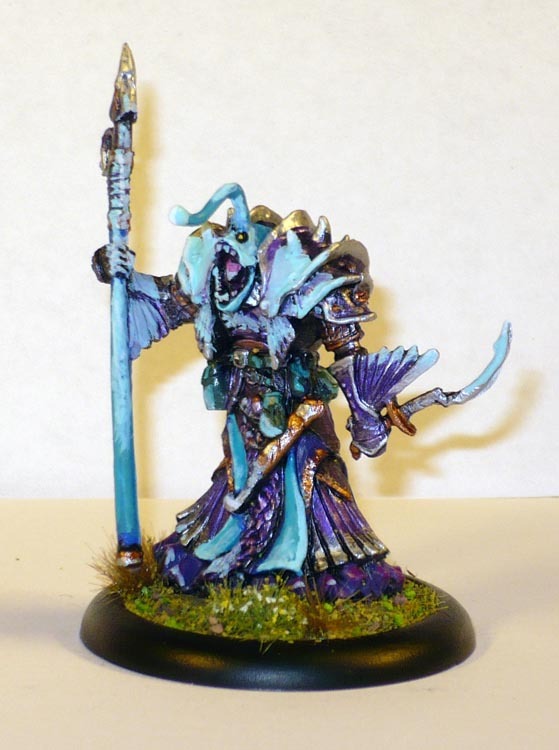 and to use up more of the colour on my wet pallette I did this, one of the Hungry Dead from Shadows of Brimstone: The Swamps of Death set. The three Hungry Dead zombie-types are the most disappointing of the lot, with even softer detail than the rest. There are three different variants, four minis on each sprue, 12 hungry dead in total in the game. This female one is a single piece mini. PreviousThe Barsoom Brawlers and Drake Yeev Dragonkin.